With the Fall semester winding down to an end comes final project submissions, tests, and the final push to score that extra grade to cover up for the few papers you did badly on. Questions like “Will I get extra points if I…” are posed frequently to professors (ok, I admit… I’m the only person who asks this question 😉 ) and often, you hear about trips and vacations everyone will be taking in the Christmas break. Lately however, people have been talking about Thanksgiving. This American holiday that I am yet to accept and internalize, appeals to me only because of the copious amounts of food involved. It’s been so interesting reading my Twitter and Facebook feeds lately that seem to be full of thanksgiving recipe suggestions. My favorite was Aarti Paarti’s Indian Thanksgiving menu suggestion. Having been to two thanksgiving dinners so far, I know the festivities and cooking begins early in the day, and the meal is served only later in the evening. This means that the hungry folks need to be fed something right? Enter, the Thanksgiving starter. A few weeks ago I had some leftover spinach and mascarpone cheese from an earlier recipe, and wondered what to do with it. 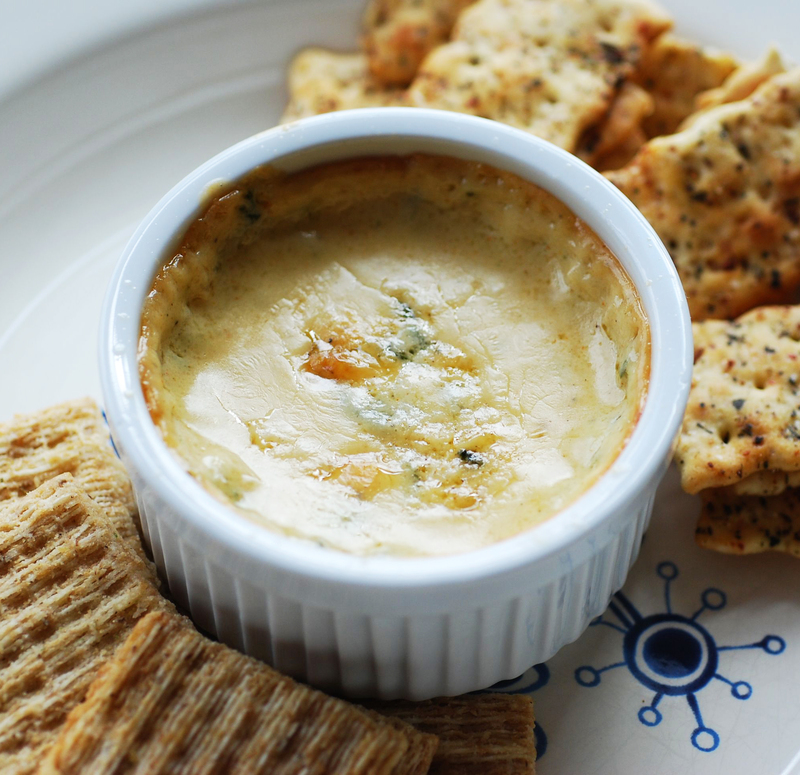 A long time ago, when browsing the famous food website Steamy Kitchen, which is written by food personality Jaden Hair, I instantly loved her recipe for a Spinach and Mascarpone dip. I’ve followed Jaden’s website for years and I ardently follow her tweets too, but this was the first time I tried her recipe. It took hardly any time to make and it was de-li-cious!! Not as heavy as an artichoke spinach dip, but not as light as a salsa. 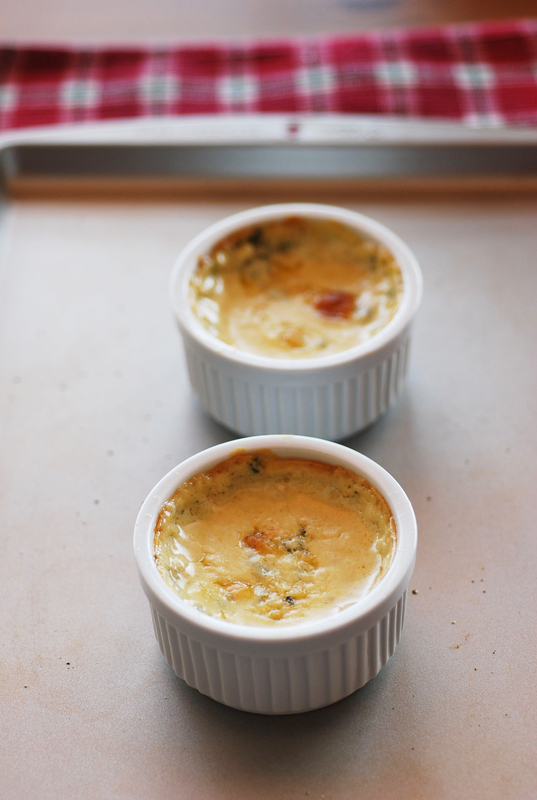 It was warm, creamy, cheesy (with hardly any cheese in it) and overall, comforting. Jaden is right – it’s a dip you truly fall in love with. 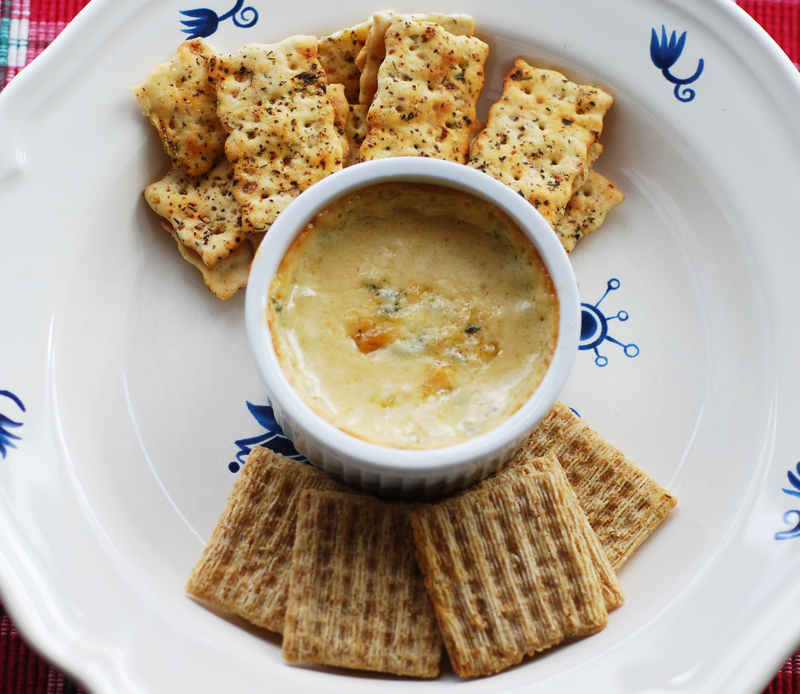 I always crave something warm, baked and cheesy when it gets colder outside (much to the disappointment of my thighs) and this dip was just right. When I finished baking a couple ramekins of the dip, I let them cool, poured out a few bland crackers on a plate, and polished off both servings of the dip in one sitting 🙂 The next time around I’ll actually eat it like an appetizer and not a meal! Please visit Jaden Hair’s TLC page for the recipe here. Your guests will not be disappointed if you make this for them!